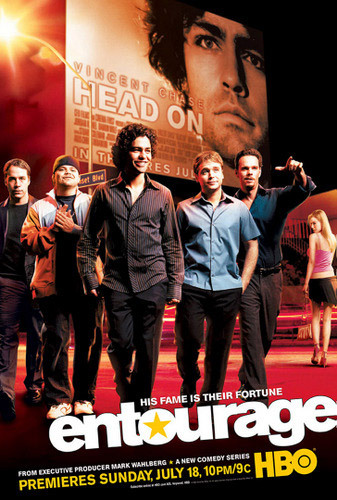 After the success of his first film, a young and attractive actor Vincent Chase is becoming a rising star in Hollywood. The best friend and manager Eric Murphy helps him foothold in the wake of the success. His older half-brother, Johnny Chase nicknamed “Drama” supports Vincent too. He, too, started out as an actor, but did not achieved fame. Drama moves from the New York district of Queens to Hollywood to become a personal chef, trainer and Vincent’s security guard. His childhood friend Salvatore Assante nicknamed “Turtle” comes to Vince with Johnny. Vince appoints him his driver and assistant, but Turtle does not cope very well with this role. His faithful agent Ari Gold tough fights for the interests of Vincent.